ANTI-TOPPING CAMPAIGN IS IN FULL FORCE! 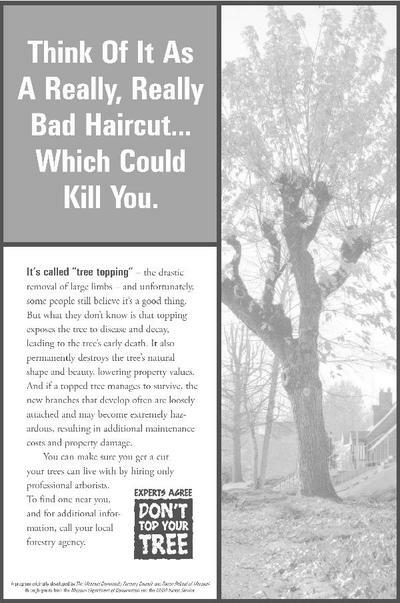 Tree topping is the drastic removal, or cutting back, of large branches in mature trees, leaving large, open wounds which subject the tree to disease and decay. 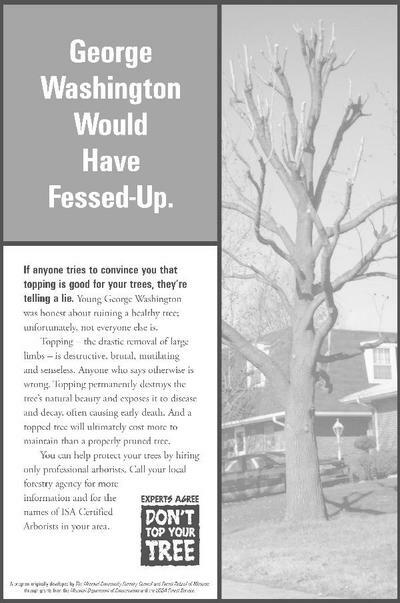 Topping causes immediate injury to the tree and ultimately results in early failure or death of the tree. 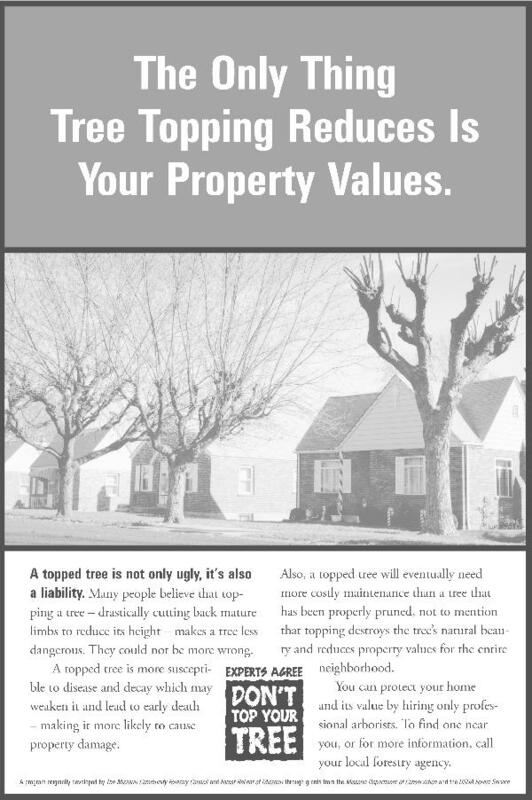 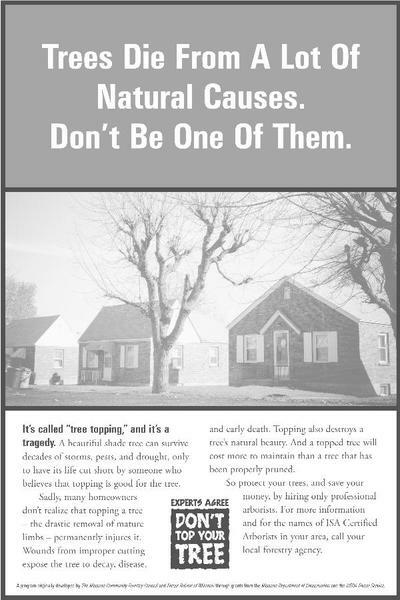 The Missouri Community Forestry Council has taken on the mission to educate the community about the negative effects of tree topping and encourage proper tree care! 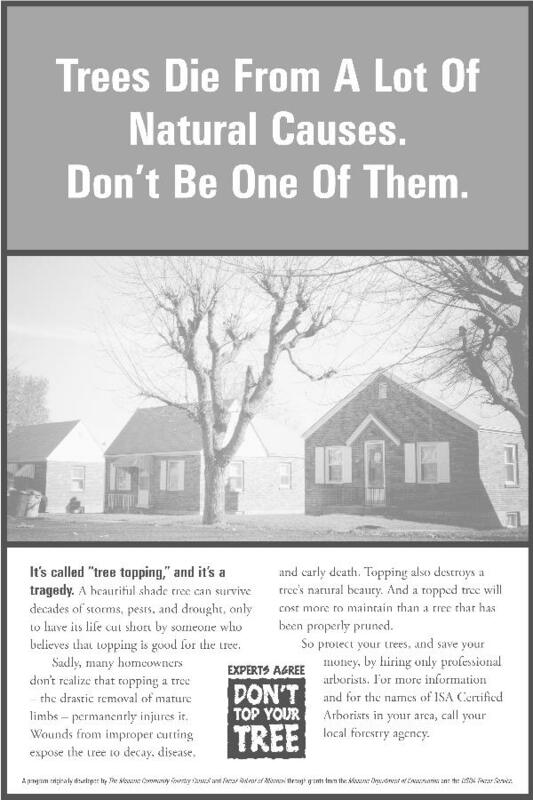 ​These publications are available for download.